Now there are “group rates” for art purchases!! Since some art collectors prefer buying paintings in groups, there are now special rates for purchasing groups. Or, if you prefer to pick and choose, there is the shopping cart. I know, I know.. the shopping cart buttons are a little “loud”. There will eventually be pretty buttons more suited to the site. Really. Some readers may recall my recent post regarding a foot injury (It was in the “old” blog, which has since malfunctioned and has been temporarily discontinued. If you didn’t see it, don’t worry, my feelings aren’t hurt…much.). The ER diagnosis was “fractured tarsal/fractured metatarsal”, but luckily it was not so bad after all. In fact, the physician who was kind enough to look at the xrays did not see any clear break (Phew! I thought it was my eyes!). However, it was enough of an injury to keep me off my feet for a couple of weeks, and my toes are still bruised after almost a month. But I’ll be as good as new before long. Meanwhile, I’ve finished some more paintings, which will be posted on soulbearing.com in a week or 2– I’m finishing a few more so I can post them all at once. Some are smaller paintings which will be $150 or less!! 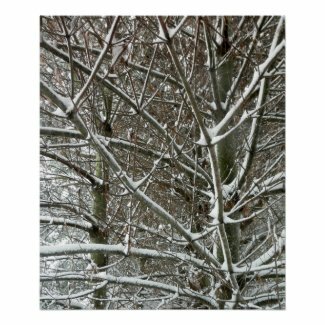 When I began offering merchandise on zazzle.com about a year ago, I thought customers were likely only purchasing items printed with their own images, but I decided to post a few things anyway. It didn’t cost anything, it was easy to set up, and at the very least it would be another forum in which to display some of my work. Any publicity is good publicity; free publicity is fabulous. 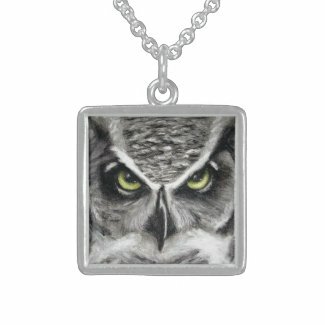 I do not know what percentage of Zazzle’s customers are buying products with their own images, but I do know that many people also purchase the designs of artists and designers who offer items on Zazzle— when they can find the images. With nearly 40 billion (yes, billion) products being offered on Zazzle, making sure people find a particular store or product is a challenge. It helps to have the right category names & descriptions, product names & descriptions, and tags. Since I’m not really so tech savvy, it took me some time to realize the importance of tags. If the tags are good, more people will find it. It’s that simple. Also, it would be nice to have tags for store categories. For example, one of my store sections is for floral images. It would be simpler if I could select tags like “flowers, floral, floral photography” to be automatically added to all items in that category. Call it laziness, but it would be a time saver, and time is money. I have more ideas, but I am out of time for now. 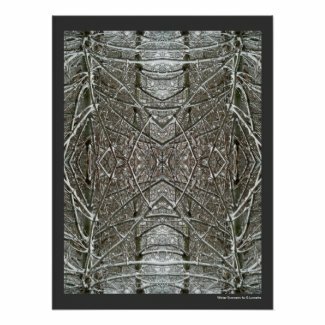 You can support the artist (that’s me) by visiting http://soulbearing.com, where you can purchase original paintings and find links to customized merchandise on zazzle. The new shopping cart has been added to the art for sale pages!! Purchase items with secure checkout using credit card or PayPal. Patrons now have the option to use the “Buy It Now” button to purchase just one item, or the “Add to Cart” button to purchase multiple items. An error caused an issue with some of the text on the contact page; it has been resolved and the page is functioning properly again. Due to recurring issues with the embedded blog at soulbearing.com, the original blog will most likely be deleted soon. Some of the more popular posts have been re-posted here, and this blog will eventually (hopefully) be integrated with the soulbearing site. For now, the newest entries will be listed on the artist’s blog page using a feed, and the original blog will still be viewable (temporarily). New art has been added, too!! coming soon: more new art!! Among my designs currently offered, there is a section titled “Kaleidoscopes“. All of these images were created with minimal manipulation of the original image. With the various effects and filters in most image editing software, the final images can be manipulated farther and farther away from the original. However, the point for me (at least this time) is not to entirely get away from the original object, but to reveal this sort of other aspect of it. Coming soon: An art sale and more original paintings for sale!! As I was in my own little world pondering this and other random things, I realized I was staring at one of my canna photos, and I began thinking of how cheerful the bright yellow color is. They’re not just any cannas; these have a little history. My great grandmother loved gardening so much that she kept 2 gardens– one for vegetables, and another for flowers. More than 50 years ago, she planted cannas. They’re usually better suited to warmer, more tropical climates, but for whatever reason they survived the cold Virginia winters to bloom every summer. Not only that, but they thrived well enough to eventually transplant some, and the transplants still survive. All these years later, she is gone, as are her gardens and even the old house. But as a result of her simple act of planting a few flower bulbs, the cannas (and her spider lilies too!) are here to enjoy more than 50 years later. 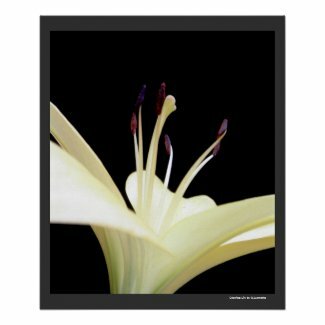 And– thanks to the world wide web, digital photography, and zazzle.com– many more can enjoy photos and prints featuring some of her flowers. Since the current blog at soulbearing.com periodically vanishes for no apparent reason (maintenance? gremlins? ), I’m on WordPress now… that’s slynnette.wordpress.com if you want to add it to your faves. This will hopefully be more stable, plus WordPress offers subscriptions and email notifications for new posts. So sign up for that! Readers can still access the latest blog posts via the “artist’s blog” page at soulbearing.com, and can also now receive updates through twitter. Some new paintings and drawings have been added to the “art for sale” pages at soulbearing.com and there is more on the way, so have a look and support a painter.